The ‘Wolf of Wall Street’ star will be handed the coveted accolade at the SAG Foundation’s 30th Anniversary Celebration at the Wallis Annenberg Center for the Performing Arts in Beverly Hills on November 5 in recognition of his on-screen accomplishments – including eight SAG nominations and five Oscar nominations – and his charity work through the Leonardo DiCaprio Foundation, which was founded in 1998 and has donated over $30 million toward environmental causes. 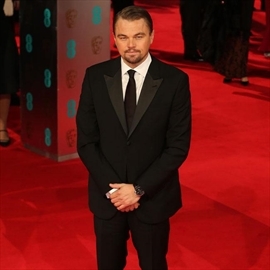 SAG Foundation President JoBeth Williams said: “To commemorate our landmark anniversary, we’re excited to honor Leonardo DiCaprio’s outstanding achievements with our Actors Inspiration Award. The 40-year-old actor is “honored” to be receiving the award and is “proud” to be associated with the organization. He said in a statement: “It is an honor to be recognized by the SAG Foundation, a group which does so much to support, sustain, and educate my fellow actors and give back to the entertainment industry, as well as the work it has done to advance children’s literacy.